Bank of Canada faces key rate decision today: To cut or not? A year to the day after being surprised by a sudden rate cut, investors and mortgage holders will be anxiously waiting for the Bank of Canada's next decision on interest rates. A little after 10 a.m. 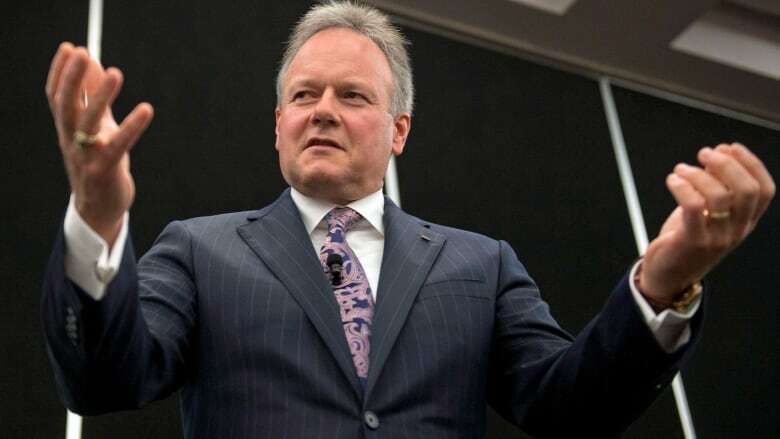 ET on Wednesday, Bank of Canada governor Stephen Poloz will reveal the bank's latest decision on interest rates. The bank can choose to raise its benchmark rate, known as the target for the overnight rate, from its current level of 0.5 per cent, lower it, or keep it the same. Technically, all the bank's rate does is govern the amount that retail banks charge each other for short-term loans. But it also filters down to impact the rates that borrowers and savers get for mortgages and savings accounts at commercial banks. Broadly speaking, the bank opts to cut its rate when it wants to juice the economy by encouraging spending and investment, and it raises its rate when it wants to pump the brakes on inflation and cool down an overheated economy. The bank's rate decisions are always closely watched because they have such a direct impact on the real economy. But this decision will be of particular interest, since there's growing fear the economic uncertainty of 2015 has morphed into full-blown crisis in 2016, with oil below $30 and the loonie below 70 cents US. After standing on the sidelines for years, the central bank twice cut its rate in 2015 to help an economy that had been waylaid by an oil shock that's still underway. Which is why some say another cut to 0.25 per cent could be in the offing. Bloomberg follows 33 economists who regularly make predictions and put out research on the Bank of Canada. As of Monday morning, 19 of them thought the bank will stand pat The remaining 14 saw a cut coming. "We think there's a good chance that the bank will cut its key policy rate to 0.25 per cent," David Madani, of Capital Economics, said in a note last week. "And if oil prices fail to recover later this year then we wouldn't rule out another rate cut before year end." Madani said he thinks the bank will cut its rate because the situation has gone from bad to worse since the last time they had to make a decision on them. It was barely two weeks ago when Poloz spoke optimistically about "stronger growth in exports" while urging patience for loonie-driven turnaround. "Back then he could afford to say this," Madani said, "but the recent plunge in commodity prices has caused ripples across the entire business community." Madani noted that in the last Monetary Policy Report in October, the central bank was forecasting an average oil price of $45 a barrel in 2016. Today, oil companies are seeing less than two-thirds of that, with prices just under $30 a barrel. At the time, the bank was forecasting two per cent growth in the economy this year. That, too, may be slashed on Wednesday. "The bank cannot wait on the sidelines any longer," Madani said. That's far from a universal view, however. Bank of Montreal economists Doug Porter and Benjamin Reitzes are two of many who suggest that the central bank would be well served to stay on the sidelines while the government steps in with deficit spending. Ottawa sped up its plans to spend on infrastructure projects and is projecting government deficits, something that should stimulate the economy. "The bank can pass the baton to the federal government" is how Scotiabank's Derek Holt put it. Chief among the concerns with a lower rate: the housing market. Rock bottom interest rates have compelled Canadians to borrow more than ever before, and send house prices up in the process. Ottawa has moved repeatedly to clamp down on dodgy borrowers, but another rate cut "could fan a market with one hand that policymakers are trying to slowly tamp down with the other," BMO's Porter said. Scotiabank economist Holt agrees with that assessment, saying "this risks courting a larger problem down the line" in the form of a housing bubble. There's also the notion that a rate cut might not be the right fix. Cutting the rate to 0.25 won't lead to the bigger GDP that policymakers are hoping for, TD economist BeataCarancisaid, because the central bank "can do little to alleviate the economic pain" in Canada's oil and gas industry. Holt at Scotiabank agrees. "Rate cuts don't help the resource sector which is about 15 per cent of the economy," he wrote. "It wouldn't matter." "The problem for policymakers," Caranci said, "is that the shift towards export strength typically occurs at a slow and measured pace ... but the trauma to energy-related businesses and household incomes is occurring immediately." That's economist-speak for saying that a 70-cent loonie will help Canada's economy eventually, but it will take time. So there's no need to cut rates to try to spur an export turnaround that may already be underway. Add it all up, and Porter's advice for the central bank is likely the most succinct of all. "The bank will likely cut rates," he said. "But we remain skeptical that they should."